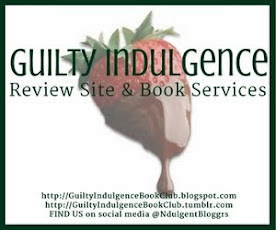 The Ndulgent Bloggers have been beta-reading and reviewing for over a decade BUT NOW we are offering independent book services through our review site. Combined, our experience tops 60 years and 8000 books! We have diverse qualifications, and divide projects based on fit, interest and experience. One of us was an editor once upon a time. Two of us have English degrees. We've worked as copy editors on several projects and served as proofreaders on several others. Our expertise is in the romance genre, any subgenre. While some of us worked with publishers in the past, operating our own service means our attention to your manuscript, direct communication and commitment to you as an author will be multiplied. We can set our own timelines to meet your goals, and allow for all the focus your manuscript needs. Our commitment is 100% to you. With our diverse backgrounds, we can also address any sensitivity issues, including depression, panic attacks, social anxiety disorders, sexual assault, chronic illness, domestic abuse, eating disorders, gay or bisexual lifestyle. We give authors writing on sensitive subject areas a second opinion to ensure their story is accurate and relatable. More details and pricing is listed on our website and facebook page.